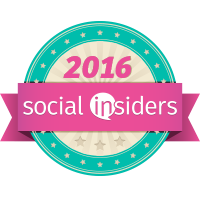 ***Disclosure-Sample products were provided for review. All opinions stated are my own based on my experience. This Summer we traveled the most we have ever traveled in our entire lives. 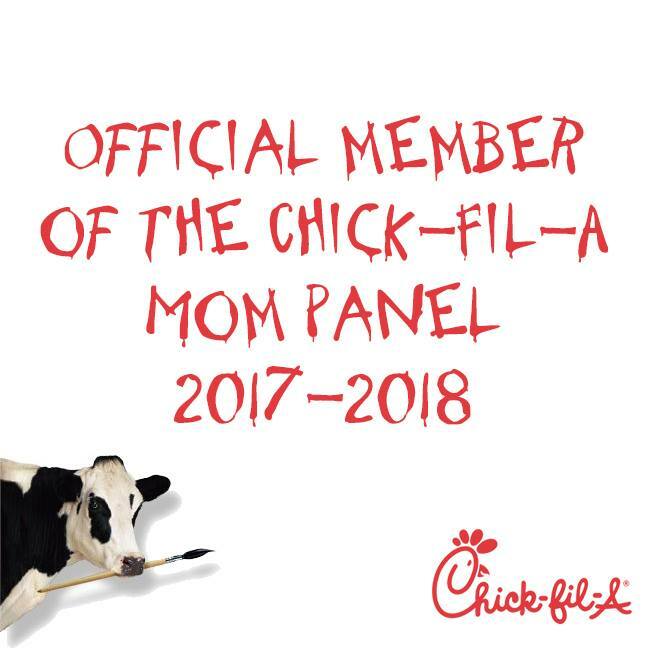 It was a learning experience for us as parents. As a single mom, I rarely traveled when my son was younger. And since my daughter was born, we had not travel too far. But this year we took a family road trip from Texas to Florida, and what a road trip it was. For kids, you have to pack things to keep them busy on the road. I get board sitting in a car for a long time. I play with my phone, we karaoke with the radio, and play I Spy or other games. But with kids and some adults have short attention spans. I received a Travel Pal and Stow and Go to review. These 2 came in handy. My teen and my toddler packed their snacks, games, and drinks. These are perfect for everyday too. My toddler likes to keep her favorite car items in them. We use to have to pack items and unload them but now they stay in the car. 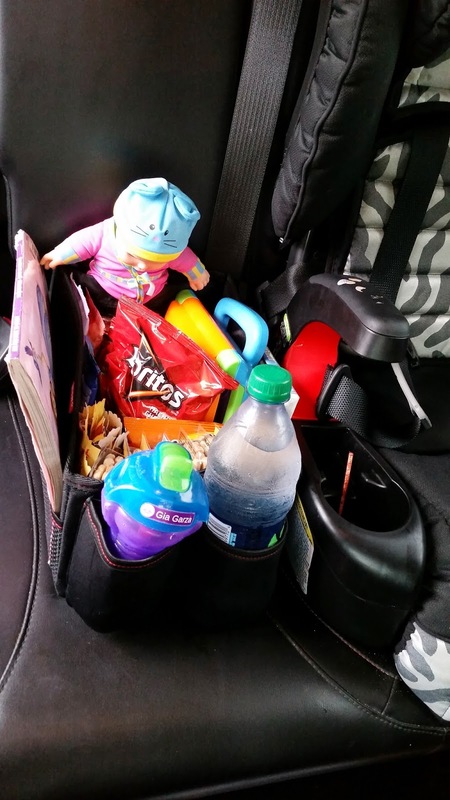 Whether it is a long trip for vacation or short trip to the grocery store, the Travel Pal and Stow and Go can really help with the organization. 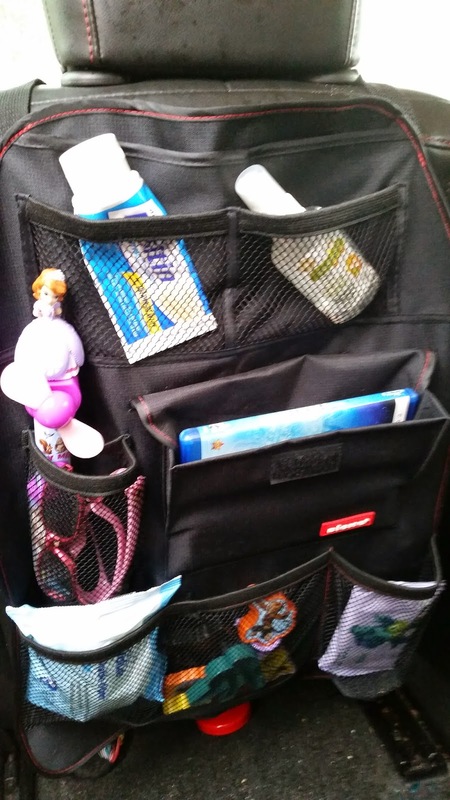 Designed to keep books and toys neat and organized, it has a deep cargo bin for toys and lots of pockets for smaller things, too. It also has insulated drink holders and the entire cargo area is waterproof - just in case. 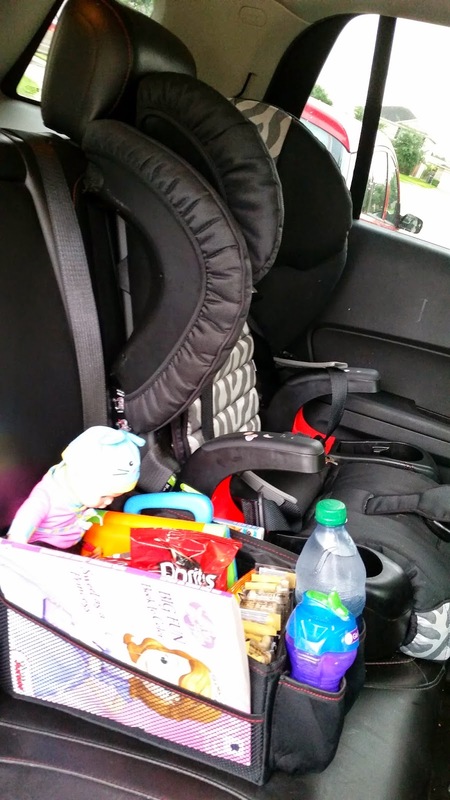 Travel Pal fits between two child car seats and it's big enough to hold everything for both children. Keeps everything organized and easy to find when you need it. Our seat back organizer does it all with seven full sized pockets and two drink holders in a washable, waterproof fabric.